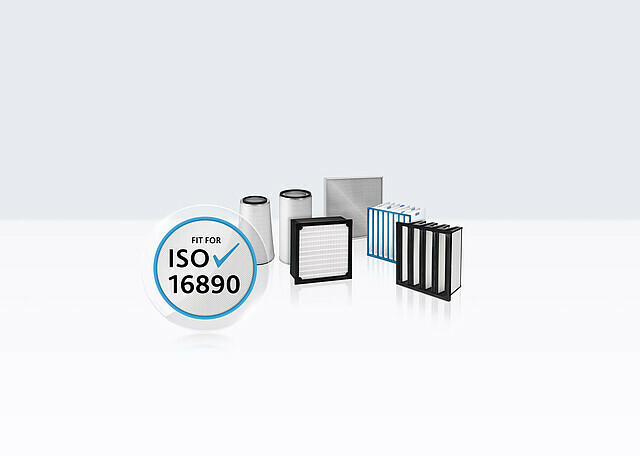 As of July 1, 2018, ISO 16890 will be the sole internationally applicable testing standard for classifying air filters. It now definitively replaces the previous industry standard EN 779, which had applied for 18 months in parallel. This means a radical change in the evaluation of air filters. Since January 2017, the new standard has provided greater transparency and practical relevance. The separation efficiencies of filters are now realistically differentiated across a broad particle spectrum using four dust classes, while the evaluation parameters correspond to those of the World Health Organization (WHO) and environmental authorities. The previous measurement procedure according to EN 779 was limited to a single particle size and neglected a large proportion of dangerous fine dust particles. The laboratory values did not correspond to actual filter behavior. “Filter testing now takes into account the actual particle sizes present in the air and specifies their separation rates to an accuracy of five percent. This enables users to select the best possible filters for their individual requirements”, explained Dr. Thomas Caesar. The Director Filter Engineering Industrial Filtration at Freudenberg Filtration Technologies was actively involved in the development of ISO 16890. Air filtration solutions that comply with ISO 16890 provide for operational reliability and reduce costs. For example, they ensure the constant performance of gas turbines and compressors, prevent paint defects in surface technology or ensure purity and hygiene in the production of food and beverages. Using the company’s e.FFECT software, Freudenberg Filtration Technologies can calculate the most efficient filter solution for customers for any given application. In line with the ISO 16890 standard, his calculation takes into account actual fine dust loading on site, among other things. Freudenberg experts are available to answer questions about the new testing standard via the email hotline ISO16890(at)freudenberg-filter.com. Anyone interested can find background information and details on the company’s website (link). The information brochure that can be downloaded from the site contains the current recommendations based on EUROVENT 4/23 (2017). All Viledon® air filters can be found in the e-catalogue on the website (link) as well as in the Viledon® product catalog, which includes the filter classes according to the new ISO 16890 standard.